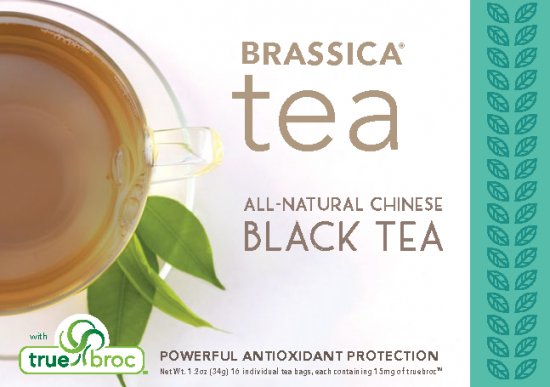 Brassica Black Tea with TrueBroc® is made with gourmet Chinese tea. 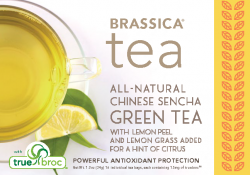 Each tea bag contains 15 mg of TrueBroc® glucoraphanin and is individually foil-wrapped to protect the TrueBroc® and freshness of the tea. 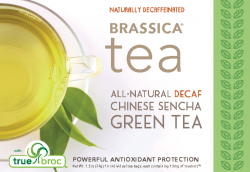 When brewed, a cup of tea gives you the same amount of glucoraphanin that you would consume if you were to eat 5 ounces of average adult broccoli. Each box contains 16 individual tea bags. 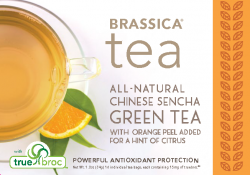 We recommend steeping tea for two minutes for mild tea, or three to five minutes for full flavor. 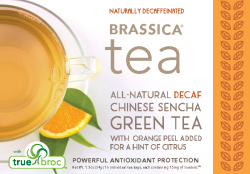 Care should be taken on steeping time because bitterness can result if tea is steeped for longer periods of time. Additionally, longer brewing releases more caffeine.